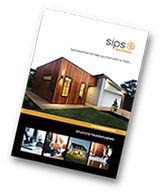 sips Industries can offer a wide range of panel solutions to suit many applications. As well as offering complete ‘House Kits’ we can supply individual components to trade buyers. We can offer an extensive range of wall solutions from structural external walls to non-load-bearing timber stud partitions. These can be supplied in individual modules i.e. 1.2 m wide x required height or as large format wall assemblies. 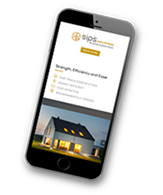 Our product range also includes floor joists, decking, screws and fixings, breather membranes, adhesives and tapes, and window systems.